Google Shopping is now in India and the new experience will be available via a shopping home page, shopping tab in Google search and style search in Google Lens. 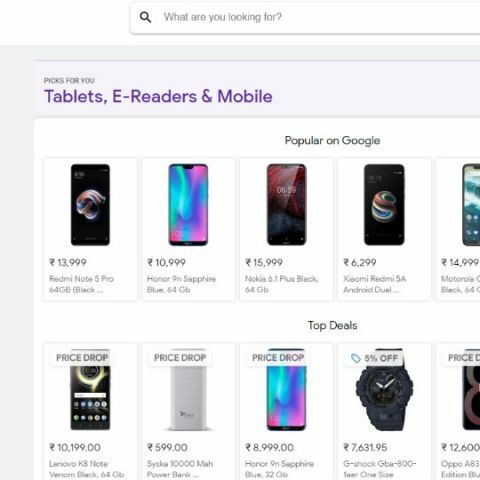 Google has launched Google Shopping in India. The service functions like a Comparison Shopping Engine (CSE) and features products across categories from various merchants, including existing ecommerce players like Flipkart and Amazon. Google has rolled out the Shopping Search experience across several of its platforms, which includes Google Search and style search in Google Lens. Google says that the new personalised experience will allow users to easily filter through offers, review prices from multiple retailers and find the products they are looking for. This experience is available across several Google products: a made-to-browse experience on the Shopping home page, the Shopping tab on Google Search and in Google Lens. For retailers, Google has also expanded the Merchant Center to Hindi. “More than 40 million Indians are coming online every year, and search is an integral part of their online journey. 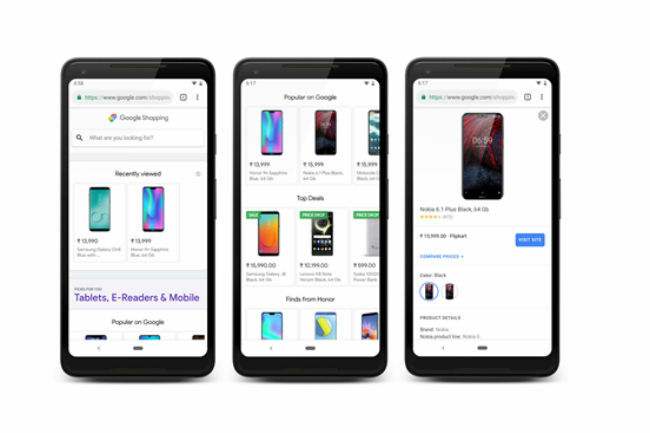 From seasoned desktop shoppers to first-time users with entry-level smartphones, we hope this new shopping experience will make finding what people are looking for just a little bit easier,” Surojit Chatterjee, Vice President - Product Management at Google, said in a statement. The new ‘Shopping Homepage’ is a made-to-browse platform and those with low-end smartphones can view it as a Progressive Web App. The Shopping Homepage lists products from categories across cellphones, speakers, headsets, clothing, books, watches, Appliances, home decor and more. Google has introduced smart features like alerts for price drops and a collection of the most popular products. The ‘Shopping Tab’ in Google Search will allow users to post queries in Hindi as well as in English. It will show product lists, local store inventory and review prices from across multiple retailers. The Style Search in Google Lens is a visual approach to finding products by simply pointing the camera lens to the product. Users will now get buy links for products similar to the ones they scan using their smartphone cameras through Google Lens. Google also announced that starting today, the Merchant Center for retailers is expanding to Hindi. Retailers can now also use Merchant Center to upload product details so they can appear across Google, without paying for ad campaigns. Merchant Center is basically a tool that helps the retailers upload their store, brand and product data and make it available to Google Shopping and other Google services. “With this launch, our aim is to support the entire retail ecosystem, from shopping sites and large retailers to small local shops, and give them the tools, technology and scale to thrive in the digital economy,” Chatterjee added. With Google Shopping, other Comparison Shopping Engines in India are bound to take a hit. However, Google Shopping in India is completely free of cost for merchants to list their products and there is no ad module wherein merchants can pay more to get a higher spot in Shopping Search results. As confirmed by Google, there is no revenue sharing module between the company and merchants that list products on Google Shopping in India.